When I first lived in Japan in the late 80s I would request that the sushi chef not include wasabi on my sushi, “wasabi nuki onegaishimasuI“. At one point an older sushi chef scolded me and told me I was too old to be eating my sushi without wasabi. I can now eat wasabi, but am still not a big fan. You’ll never find me buying wasabi flavored potato chips. The other day while at our local depachika our son requested sushi for lunch. 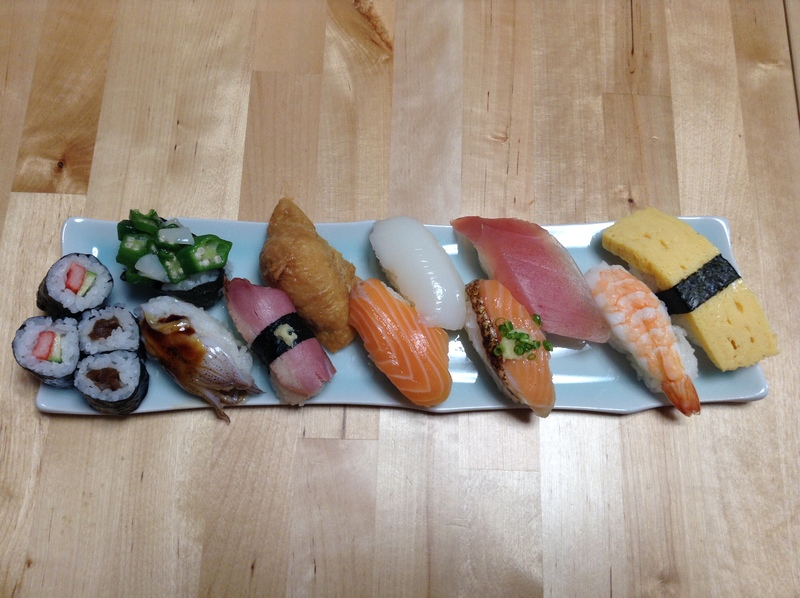 Chiyoda Sushi is an affordable chain of sushi restaurants with many take-away shops throughout the city. 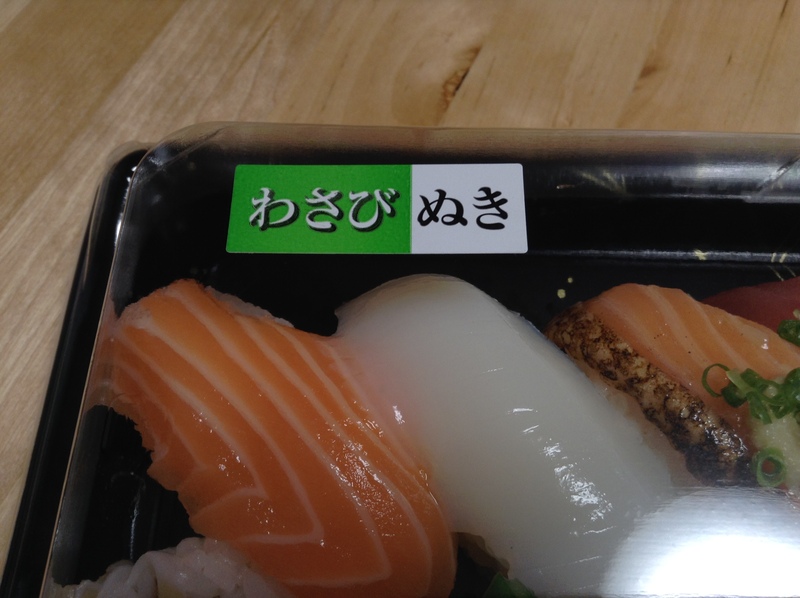 There was a big selection of nigiri, maki, and chirashi-zushi for take-away. The prices are quite affordable starting at a couple hundred yen. He wanted the set that we got above, which included ten pieces of nigiri and four small maki, all for only 498 JPY (less than $5 USD). The only problem is that most of the sushi has wasabi on it. I asked if they could make a set without wasabi, wasabi nuki (new-key), and was told it would take about five minutes. We prepaid for the sushi and finished our shopping and then came back. Sometimes you will find premade wasabi nuki sets at the shops. If not, ask for some to be made for you.